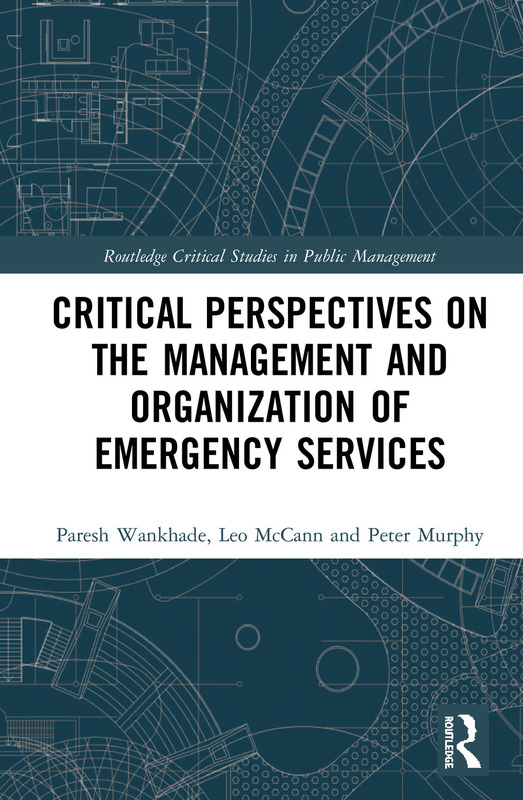 Critical Perspectives in Emergency Services Management makes an important contribution to the subject of emergency services management and to public administration and organization studies more generally. It critically assesses developments in emergency services management by examining the multi-dimensional nature of the provision of emergency services and their connectedness in advanced western democracies. The effective management of emergency services has never been more important than in today’s high-pressured and cost-conscious public sector. The authors of this volume forensically analyse the challenges of delivering emergency services within this context. This book provides an in-depth, scholarly and comprehensive analysis of the changing landscape of emergency service provision and clearly addresses a gap in the market for a critical volume on the emergency services. For anyone seeking to understand why and how the management of emergency services matters, this collection is essential reading. Quo Vadis: Eight Possible scenarios for Changes in the Ambulance Services. Galvanising partnership and communities to tackle domestic violence & abuse: Why wicked problems have no easy solutions? A comparative appraisal of recent and proposed changes to the fire and rescue services in England and Scotland. Paresh Wankhade is Professor of Leadership and Management at Edge Hill University, UK. Leo McCann is a Professor of Management at University of York, UK. Pete Murphy is a Professor of Public Policy and Management at Nottingham Trent University, UK.